Well there you have it. As if the people of this country needed confirmation of the sorry state of the affairs in the management of the health sector, the report by the Commission of Inquiry appointed by Cabinet to review the proposed merger between the Ministry of Health (M.O.H.) and the National Health Services (N.H.S.) removes all doubt (read story front page of Samoa Observer Friday 03 August 2018). Now what good is there in anything, which exists in a state of warfare? What could possibly be positive about this? And isn’t it ironic that of all the sectors, this state of warring exists in the one sector, which deals with health and wellbeing where unity and togetherness should be paramount? No wonder the sector is in a mess. This of course comes at such a critical time when the eyes of the world are locked on Samoa following the tragedy of two babies who died after they were vaccinated in Savai’i. Since that particular investigation is continuing, we will not delve further into it. Suffice to say, in a functioning health service, such a waste of precious lives should never have happened, especially in the manner the babies died at Safotu hospital. But then you don’t need to be a rocket scientist to know that these are symptoms of a dysfunctional health care system, one where egos are placed above the duty of care and love for the people they exist to serve. Which is precisely what the Commission of Inquiry found. 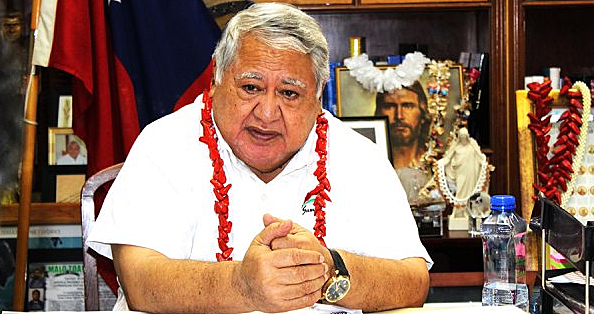 According to a copy of the report received by the Samoa Observer, Cabinet has been urged to carry out reconciliation between the National Health Services and the Ministry of Health if this merger is to proceed. The Inquiry notes that the strained relationship between the doctors and nurses is especially concerning. “A fundamental change in attitude of all Health sector workers is the Commission’s own prescription for the terminal condition which the sector is currently manifesting, an attitude of selfishness and mala fides (bad faith) which lies at the heart of the conflicts and disagreements which has paralyzed the service for many years,” the report reads. “The Commission strongly recommends the conduct of a formal process of reconciliation between the leaders of the warring occupational groups. The Chairperson of the Commission of Inquiry and the Commission members must be commended for being honest in their report. They could have easily skirted around the issue and come up with some feel-good report to try and justify what the Government wants, which is to merge the two entities. But they haven’t done that. What they have come up with is a brutally honest assessment of the problem and from here onwards, we hope Cabinet does the right thing and sort out these problems once and for all. Speaking of sorting out the problem, we couldn’t agree more with the Commission that there is certainly a need for grace for anyone to function properly under these circumstances. “The many professionals in the health sector (public or private) routinely offer their time, skills and experience in a committed and diligent manner and serve the people of this country with selfless dedication,” the Commission’s report reads. “To do so with kindness and compassion however separates the ordinary health professionals from those who are extraordinary, and these are the health professionals who are the most highly respected in our community and much beloved by patients and their families. In other words, unless leaders and workers in the health sector learn to be civil and accord each other the respect they mutually deserve, they will never be able to respect the people they serve. It explains the rude attitude we see every day at our hospitals. The message is quite simple and clear. It’s okay to be humble, kind, caring and be nice to one another. But then this is a message that shouldn’t be confined to the health sector. All Government, Church, Village and family leaders should take this for themselves. And when we all do that, we find that unity becomes a reality and within that unity, God will bless the things we do. Have a peaceful Sunday Samoa, God bless!